After rising 5.7 percent from the start of 2016, U.S. home prices are now within just 0.3 percent of a new national peak. For the fifth straight month, New York led all states in monthly home price appreciation, seeing 1.1 percent growth from October 2016. Home prices hit new peaks in six of the nation’s 20 largest states and eight of the 40 largest metros. 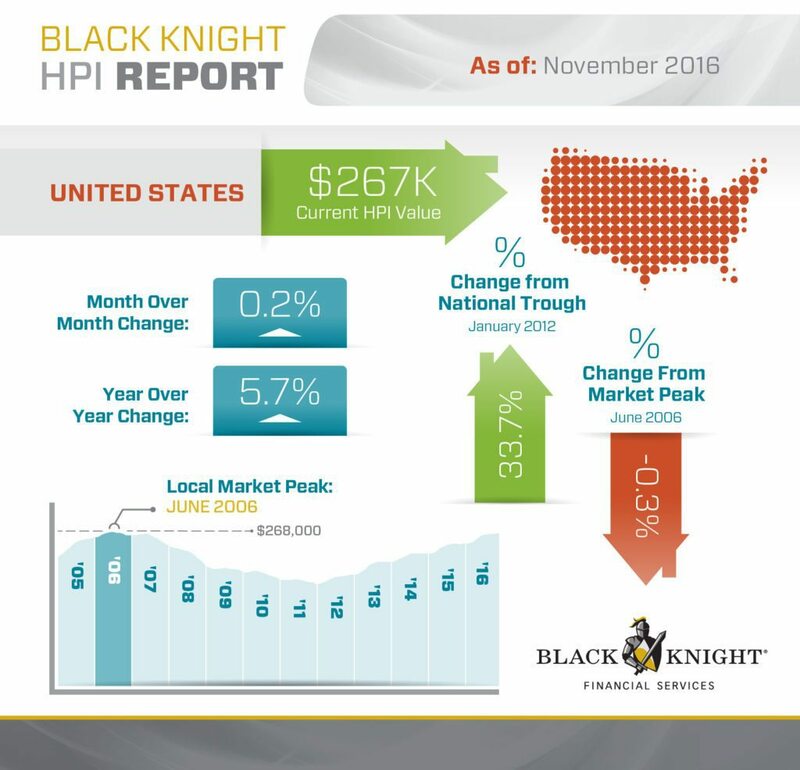 Compared to November 2015, real house prices increased by 1.7 percent. Real house prices are 37.1 percent below their housing-boom peak in July 2006 and 15.5 percent below the level of prices in January 2000. 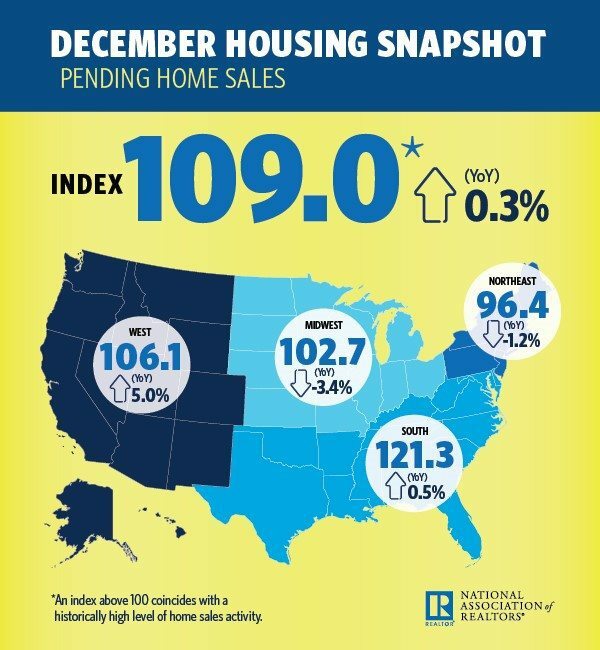 The Pending Home Sales Index (PHSI) increased 1.6 percent to 109.0 in December from 107.3 in November. The index is now 0.3 percent above last December (108.7). 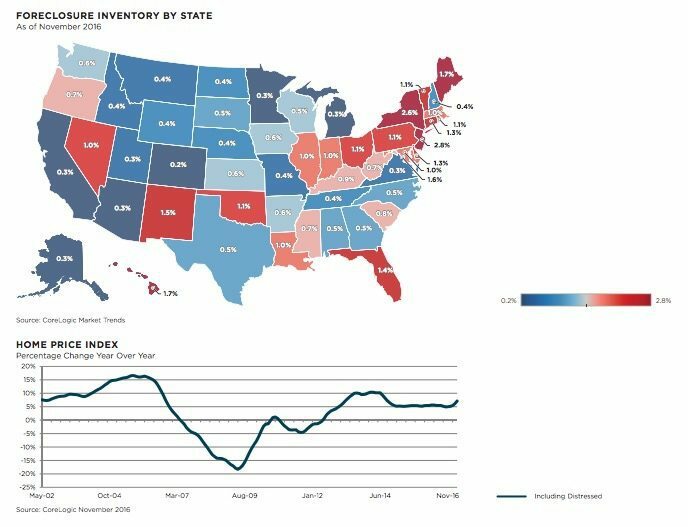 Existing-home sales are forecast to be around 5.54 million this year, an increase of 1.7 percent from 2016, which was the best year of sales since 2006.